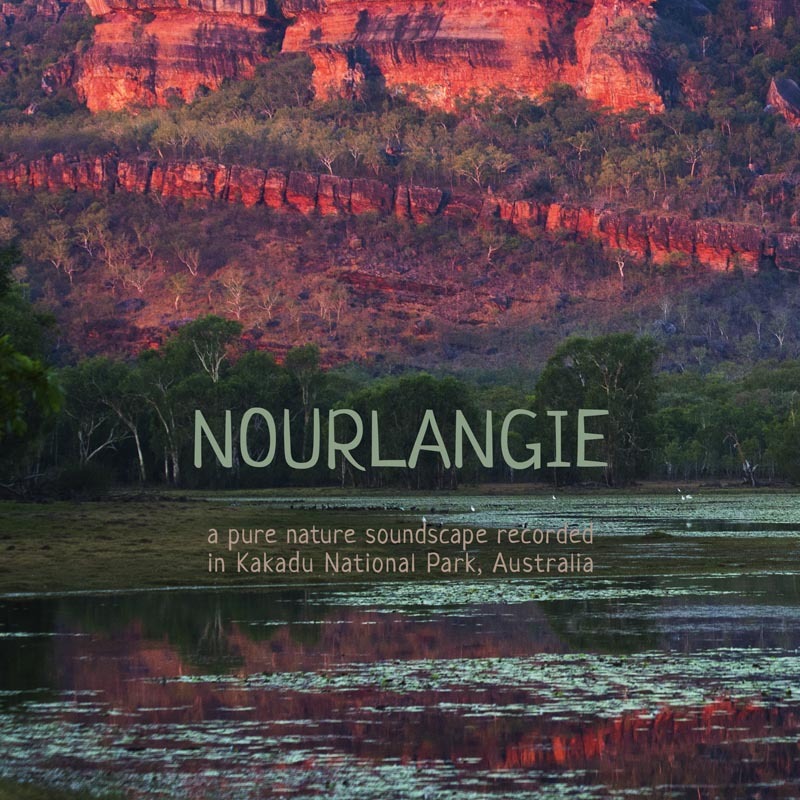 A pure nature soundscape album featuring the natural sounds of Kakadu National Park, Australia. 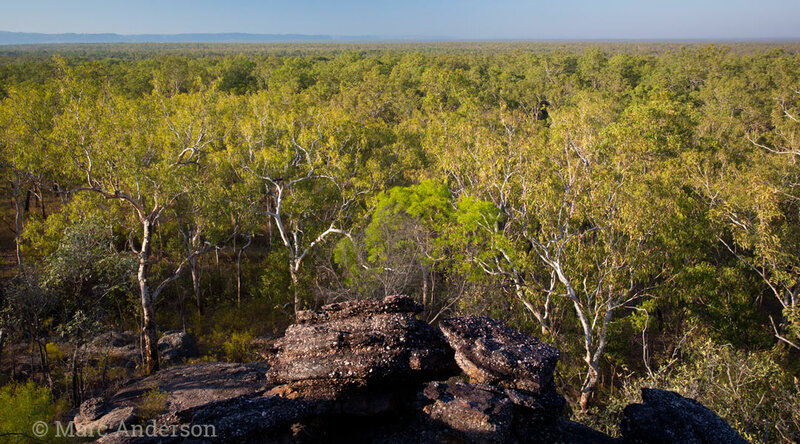 In the heart of Kakadu National Park, Nourlangie Rock towers over the tropical woodlands below. 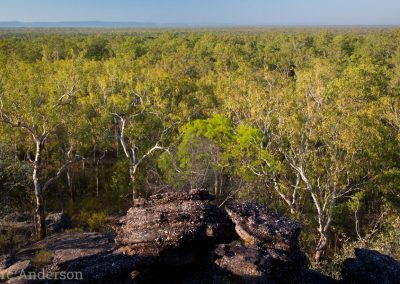 This large sandstone outcrop forms part of the spectacular Arnhem Land escarpment and provides a haven to endemic species such as Black-banded Fruit-Dove (Ptilinopus alligator) which are only found in this unique habitat. 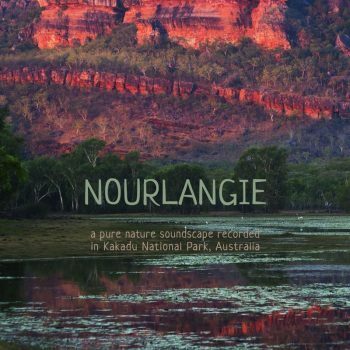 The album ‘Nourlangie’ was recorded at dawn beside the escarpment and next to a small shady gully protecting a patch of monsoon forest. 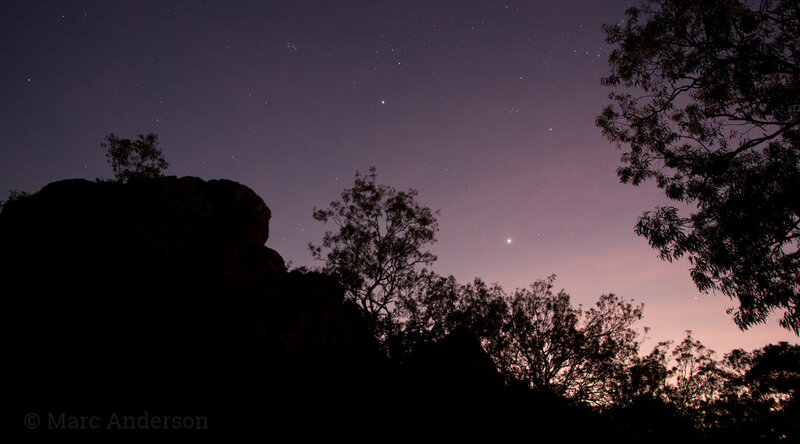 Northern Fantails and Silver-crowned Friarbirds are the first to call in the pre-dawn light. 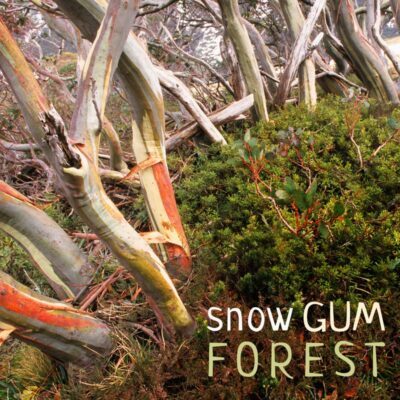 Other species recorded on the album include Pied Butcherbird, Spangled Drongo, White-bellied Cuckoo Shrike, Rainbow Bee-eater, Black-banded Fruit Dove, Northern Rosella and the lovely melodies of Sandstone Shrike Thrush in the distance. 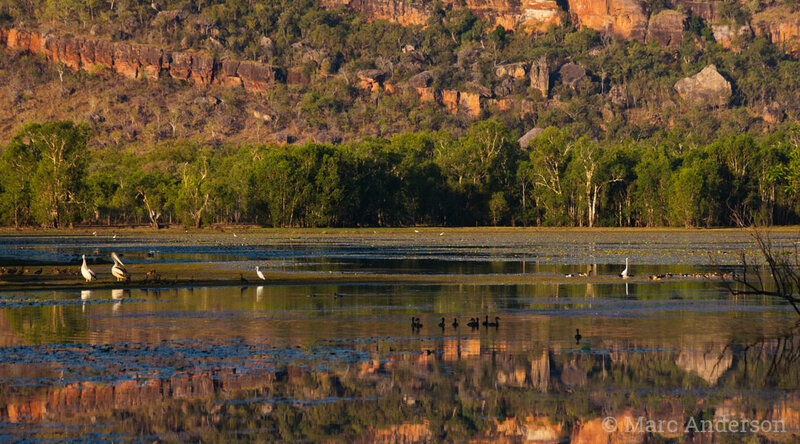 Adjacent to the rock is Anbangbang Billabong, a small permanent wetland and a vital refuge for waterbirds, wallabies, crocodiles and other wildlife, especially during the dry season. 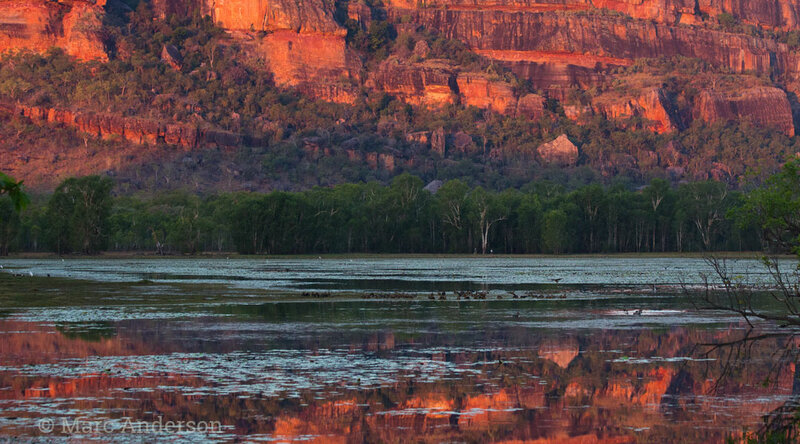 What makes Anbangbang Billabong especially beautiful is its location at the base of Nourlangie Rock, part of Arnhem Land’s sandstone escarpment. 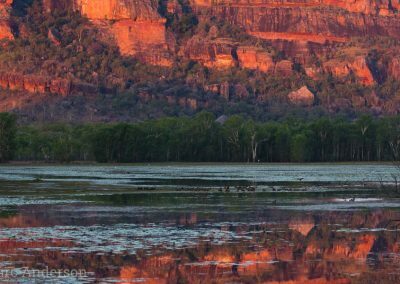 Each day at sunset, the billabong is set ablaze with colour, as the warm reds and oranges of the sandstone reflect in the still water. 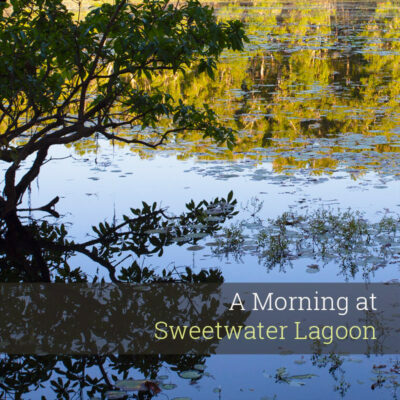 At the same time, the sounds of hundreds of waterbirds and other species from the surrounding dry forests combine to create an unforgettable audio visual experience! 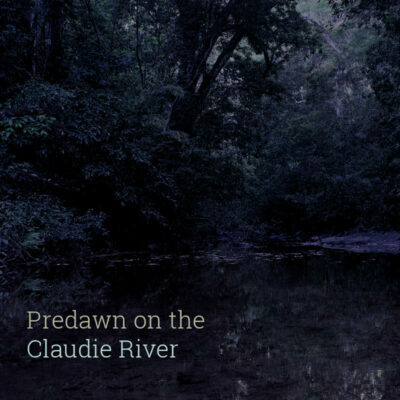 The third track on this album focuses on the Anbangbang wetland soundscape. 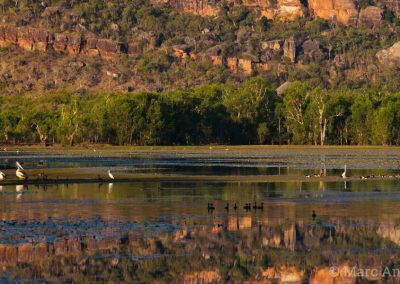 Species recorded at the billabong include Australian Pelican, Green Pygmy Goose, Plumed Whistling Duck, Magpie Goose and Whistling Kite. The sweet whistles of Northern Fantail along with the harsher 'tcheeow' calls of Silver-crowned Friarbirds begin this tropical dawn chorus while it is still dark. As the days brightens other birds add to the morning soundscape including Pied Butcherbird, White-throated & White-lined Honeyeaters, Blue-winged Kookaburra, Spangled Drongo, Willie Wagtail & Torresian Crow. 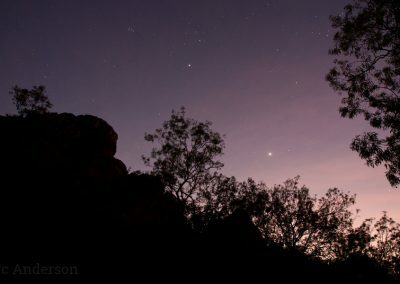 As dawn breaks, more bird species can be heard including Bar-shouldered Dove, White-bellied Cuckoo Shrike, Varied Triller, Great Bowerbird, Rainbow Bee-eater, Black-banded Fruit Dove and the lovely melodies of a Sandstone Shrike Thrush from higher up on a rocky outcrop. 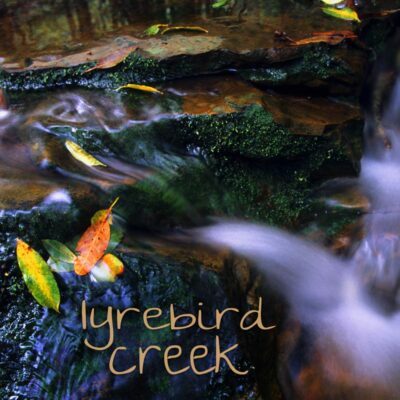 In an idyllic billaboing at the base of the rock, thousands of waterbirds gather to feed amongst the lilypads and water's edge. The whistling calls of both Plumed & Wandering Whistling Ducks can be heard, along with the deeper calls of Magpie Geese, and the occasional baritone grunts of Australian Pelican. From the surrounding paperbark woodland, Bar-shouldered Doves & Silver-crowned Friarbirds call while Whistling Kites cackle overhead. Plumed & Wandering Whistling Ducks, Magpie Goose, Australian Pelican, Whistling Kites, Bar-shouldered Dove, Black-banded Fruit Dove, Blue-winged Kookaburra, Rainbow Bee-eater, Northern Fantail, Silver-crowned Friarbirds, White-throated & White-lined Honeyeaters, Spangled Drongo, Willie Wagtail, White-bellied Cuckoo Shrike, Varied Triller, Sandstone Shrike Thrush, Great Bowerbird, Pied Butcherbird & Torresian Crow.